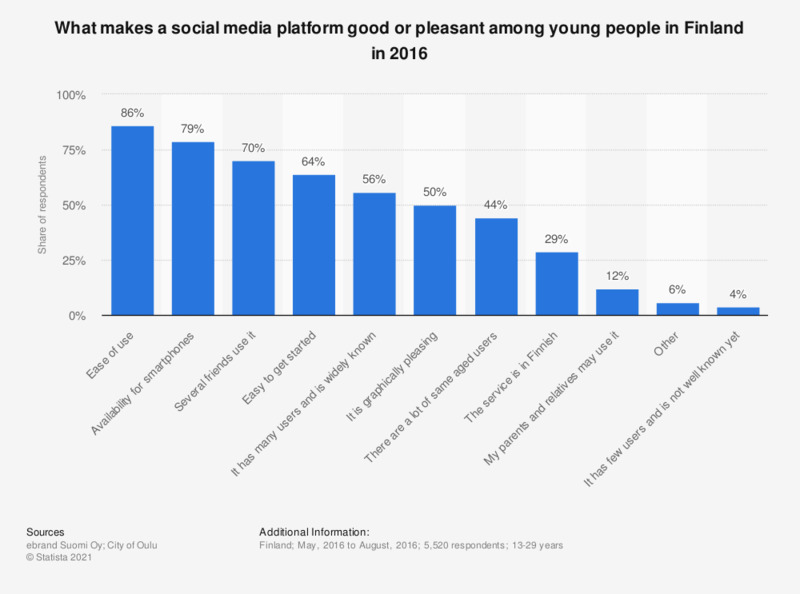 This statistic shows the results of a survey on what makes a social media platform good or pleasant among the youth in Finland in 2015. During the period under survey, roughly 86 percent of the respondents stated the ease of use makes a social media service good. The source points out it wasn't defined what was meant by a social media, so that the youths' perception of social media would become clearer. 13 to 17-year-olds (n= 2244), 18 to 22-year-olds (n= 1822) and 23 to 29-year-olds (n= 1454).